During the winter, getting your boots on can often be the hardest step when it comes to going for a walk so I’m all for making things easy with quick hits and immediate reward. With darkness like a double-headed caterpillar eating away at both sides of our day, you don’t want it to get too late to go while you’re still trying to come up with a route you’d like to do. This little selection of winter walks offers plenty to get the pulse racing, either from the effort or the jaw-dropping views that each has to offer. If you live in Dublin, a short but enjoyable spin in the car will get you away from the hustle and bustle of the city to a fix of fresh air and the kind of freedom you can only feel in the wild and wide open spaces we so often miss. The drive along the bouncy Military Road via the Featherbeds is worthwhile even if it’s flogging rain and you’ve no intention of getting out of the car. The thing is, once you get to the Lough Brays car park (O142151) you won’t want to stay put. 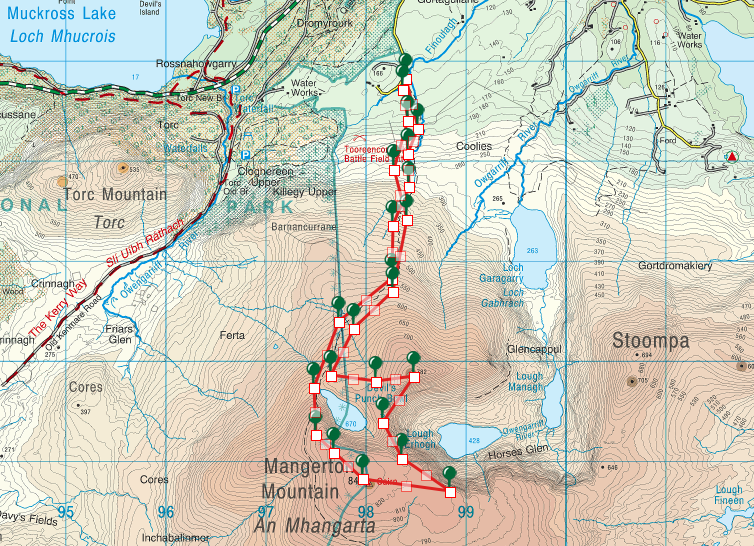 There are loads of options here but a route I’d recommend leads down and across one of the minor tributaries of the Glencree River before joining the obvious peaty track over the little narrow ridgeline towards the lower lake and the striking prow of rock that splits the two corries known as Eagle’s Crag. A simple circuit of the lakes is a very enjoyable 3km jaunt with a surprising amount of beautiful scenery for such a short outing. 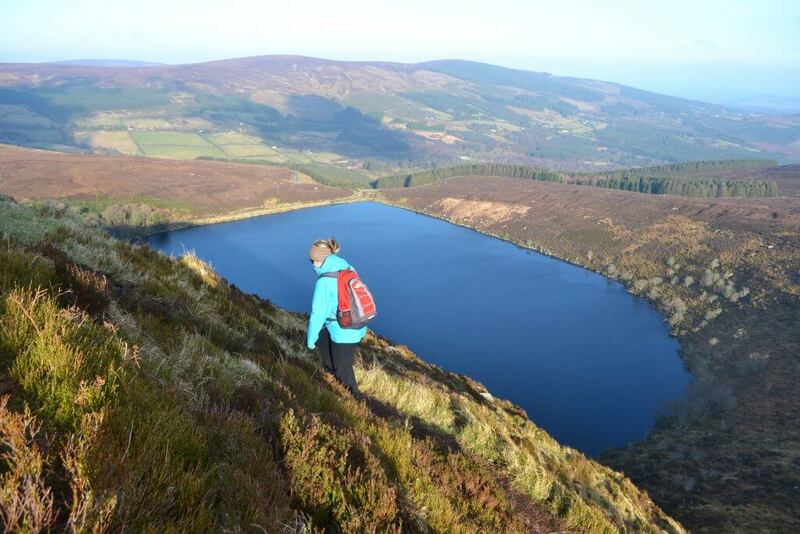 Eagle’s Crag is a steep but rewarding way to improve your outlook, not just locally to the delightful privacy of Lough Bray House, but back over the entire Glencree valley. It’s enjoyable to follow the line of the cliff top to get a view of the little beach that is supposedly made from sand brought in from Brittas Bay. There is certainly more than a grain of truth to that story. 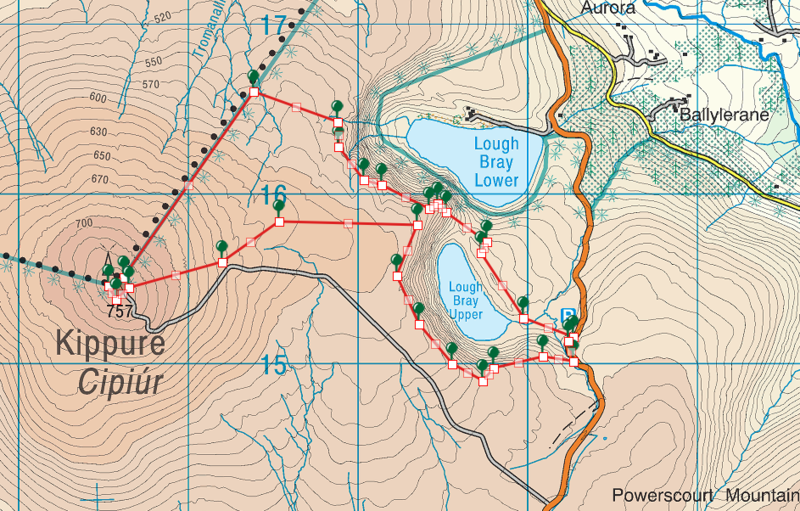 You can turn tail at any time and follow the cliff-top trail around the Upper Lake but I prefer to keep that to the end and head northwest to pick up the bog cutting that leads to the summit of Kippure. At 757m it’s a pretty big peak but the fact that it’s topped with a 106m RTE mast makes it one of the best known and most used navigational landmark in Dublin and Wicklow. And its flashing beacons can be a wonderfully reassuring sight if you like to wander the hills at night. The climb is easy enough, though at times the bog and the heather seem reluctant to yield to your efforts at progress. The bogs surrounding Kippure give rise to three great rivers – the Dodder, the Dargle and the Liffey. The descent combines the mast access road and a little cross country to once again gain the winding delights of the cliff-top track that will lead you back to the car. Remember there’s always the culinary delights that Carol and her crew have on offer at the Armoury Cafe in the Glencree Centre to tempt you either as a goal or a reward. On my last trip to the Galtees, there had been an unseasonal snowfall – not the kind that would keep you indoors but a tasteful sprinkle that still manages to make that beautiful crunchy sound when you walk. They hills looked magical – a bit like mince pies in fact. Topped off with an azure sky that literally climbed forever and we had all the makings of a great day out before we’d even put our boots on to tackle the Lough Muskry Circuit. There’s a good bit of room for parking near Rossadrehid (R919 282) and the trail walk to Lough Muskry that kicks off this little outing is a popular walk in its own right. Many people will get as far as the lake, do a circuit of it for good measure and head back the way they came (9km approx). 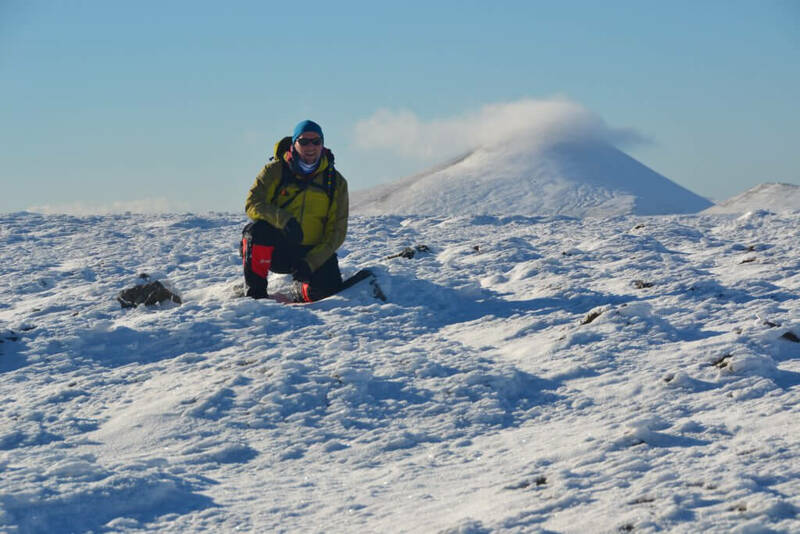 With the glorious conditions, our boots were like Thatcher at a Tory conference and ‘not for turning’ so we started to zig-zag our way up the snow-covered and shaded northern slopes of Greenane West. The two lads I was with headed west to return via Cush while I took the eastern option to Greenane (802m), not because I’m anti-social or anything but I figured Farbreaga was due a visit as I hadn’t been before. Having the place to myself in the semi-surreal snowscape was like having an out-of-body experience, especially when you add the dramatic conglomerate rock formations and the dizzying views down the shaded cliffs of the cwm to the frozen lake below. Another classic in the Galtees that’s out of this world but not so far, far away with both options on the return trip resulting in 12-13km round trips. 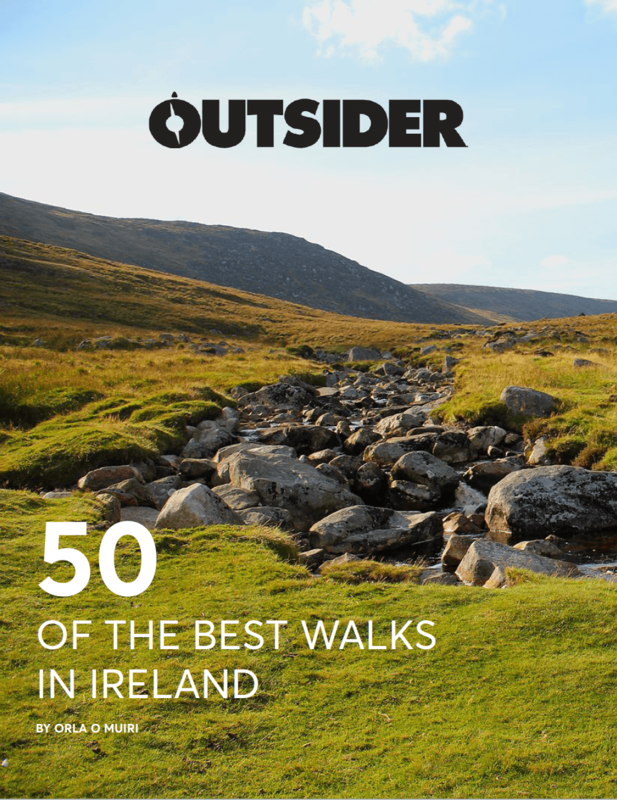 Kerry will literally spoil you for choice, with loads of great walks from the coasts to the crowns of its mighty peaks. But for a great day out somewhere in between – with plenty of challenge, scenery and options – is the jaunt up Mangerton Mountain via the Devil’s Punchbowl. 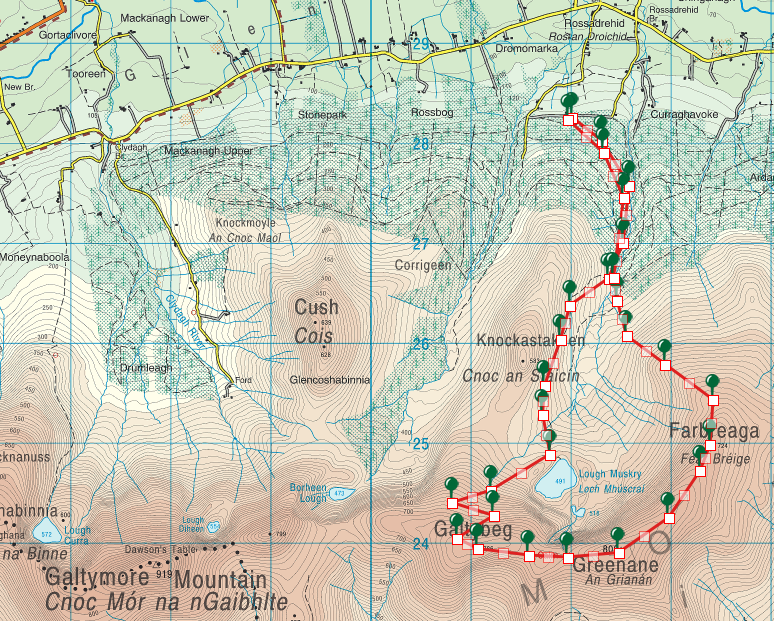 This is kind of looking-glass shaped walk with the start and finish overlapping, but there is a really enjoyable circular route taking in the summit and the best of the views. Take the left turn after the entrance for Muckross Abbey and follow your nose till you see the signed right turn for Mangerton. About 2km along, there’s an obvious start point (V978858) with space for parking. A well-trodden track meanders its way through the gorse and the heather that serves as the rough cover of this 13th Century battlefield between the McCarthys and the Fitzgeralds. The place is called Toureencormick after Cormac McCarthy who died in the battle. There’s no connection with the famous author but this is still no country for old men as the lower sections of the road can be a slippery ankle-twisting quagmire at times. The climb is direct and steep to begin with but eases off somewhat before finally reaching the wonderfully named Devil’s Punchbowl. Legend has it that a local Chieftain O’Donoghue Ross was dining there with the devil; he made him mad and the devil grabbed a chunk of the mountain and threw it at him. He missed but the chunk landed in Lough Leane and Ross built his castle on it – a novel way of getting around planning permission in Kerry to be sure. Mangerton summit is a broad plateau but the actual top is marked by a trig point and a broken mast. You’d still want your navigational wits about you to find the top in bad weather though. On the return trip, it’s well worth heading east to have a look down the precipitous cliffs of the Horse’s Glen before completing the circuit of the Punchbowl. 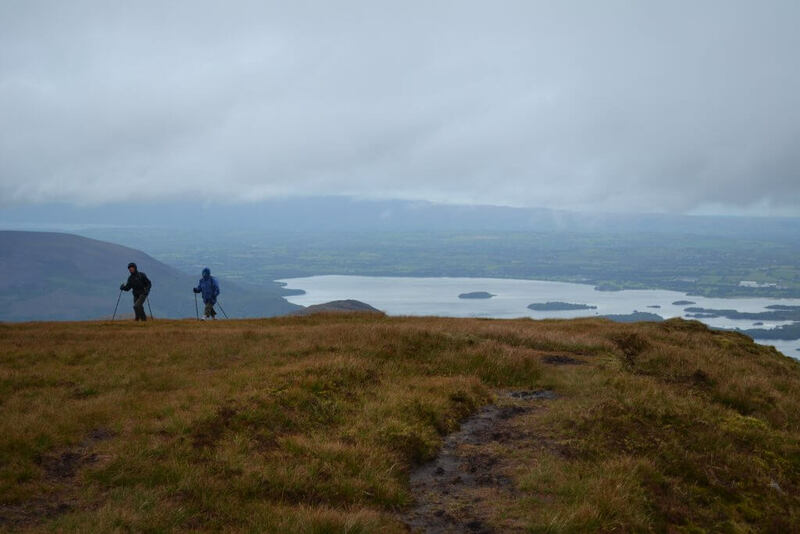 The out-and-back extra leg up to Mangerton North gives excellent views of Lough Guitane and Lough Erhogh, not to mention across to the might Reeks themselves. Follow the northern shore of the Punchbowl to rejoin the ascent track and simply retrace your steps to get back to the start. You don’t have to go too far to realise what knockout scenery we have all around us on our little island, and even though it’s said that the best views come after the hardest climb that certainly isn’t the case with the Cliffs of Moher walk. 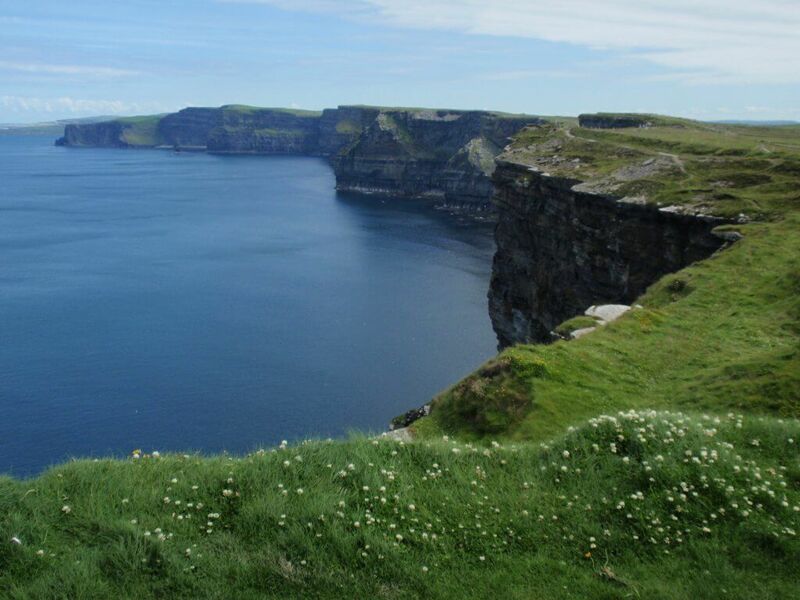 Any Princess Bride fans out there might also refer to this epic slice of Irish coastline as ‘The Cliffs Of Insanity’ but don’t let that put you off. Not visiting these shale and sandstone geological wonders on a regular basis would be…well, inconceivable. The walk starts at the Hag’s Head end of the cliffs in the quiet little neighbourhood of Kilconnell. An intrepid local has even opened up a little car park (R019892) so there’s no bother on that front. Seen in silhouette the headland looks like an old woman looking out to sea, giving the place its name. The tower here was a signal tower from Napoleonic times but its impressive perch on the cliff top is worth the time to explore. In fact, one of the best things about this walk is that you can literally go right to the edge of the cliffs and look hundreds of feet to the turmoil of the Atlantic below. For anyone who’d prefer to keep a little bit of distance, there is walkway set back from the edge protected from by a flagstone wall that is a great spot to enjoy both the walk and the views at the same time. The walk follows the short but spectacular line of the cliffs to the Cliffs Of Moher Interpretive Centre and beyond to O’Brien’s Tower lookout point – built as an observation point for tourists in 1835and arguably Ireland’s first interpretive centre. It was a project by Cornelius O’Brien as was the flagstone wall at the cliff top. In fact, it was once said that the only thing in the area not built by him were the cliffs themselves! Puffins nest on tiny Goat Island and the Branan Mor seastack is a summertime haunt of many other sea birds like guillemots and fulmars so bring a pair of binoculars to get a closer look. 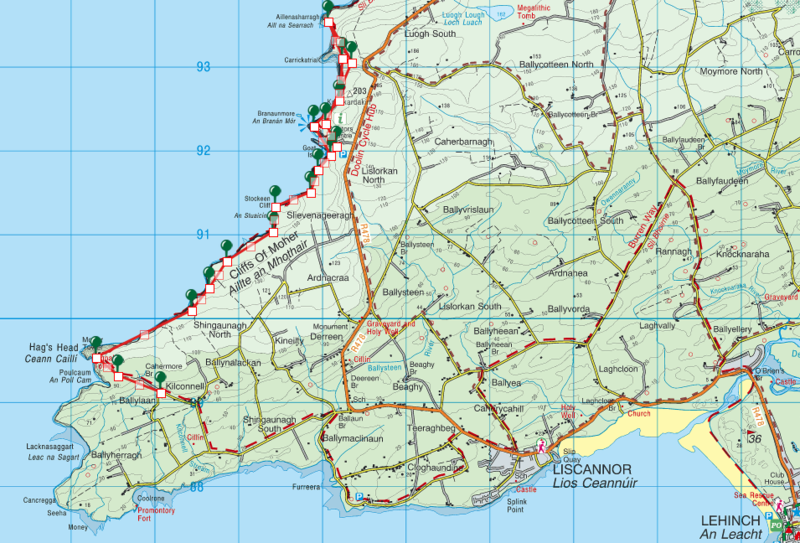 It’s a gentle but exhilarating 5km to O’Brien’s Tower but you can easily continue along the coast to the next headland so the length of this walk depends on how much you explore or if you decide to car drop at either end. One thing’s for sure though, it’s a tall order for a short walk to have more on offer than the Cliffs Of Moher.